Briefing Paper #4: The Basel Ban Amendment: Entry Into Force = Now! Briefing Paper #9: The 3R Initiative: A Mask for Toxic Trade? to the dumping of toxic waste. Geneva, 12 December 2002. 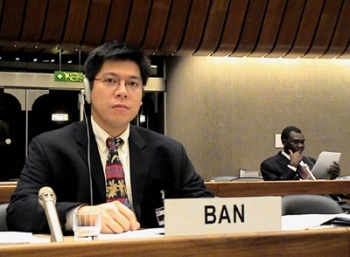 BASEL BAN VICTORY AT COP4! Delegate Alert #3: Goal: A COP14 Ban Amendment Celebration! First Meeting of the Committee for Implementation and Compliance. 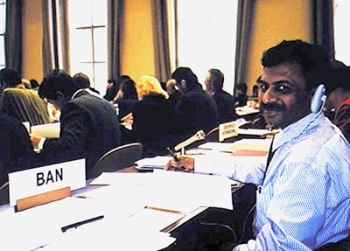 International Environment House, Geneva, 19 October 2003. 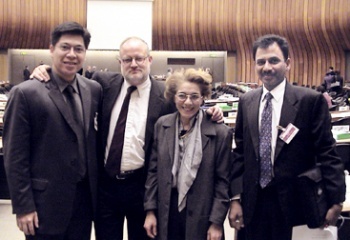 4th Session of the Legal Working Group, 18-19 January 2002, GenevaFirst Session of the Open-ended Working Group (OEWG 1), Geneva, 28 April – 2 May 2003. This page was last modified on 9 April 2019, at 08:32.